humiliating. Here are a few secrets to stopping those meltdowns from Michele Borba, author of Don’t Give Me That Attitude: 24 Rude, Selfish, Insensitive Things Kids Do and How to Stop Them. 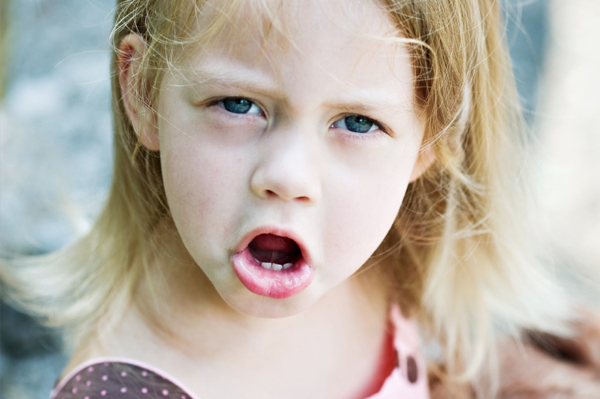 Kids use tantrums to get what they want because they’ve learned it works. So never to give in to the outburst. If you must use earplugs do so, turn your back or even walk away: No eye contact, no words, no reaction. In fact, the more involved you are, the longer the tantrum lasts. So don’t react. If the behavior persists then set a consequence such as time out. There’s a trick though: time out only works if you use it every time the tantrums occurs and the minute it starts. So wherever you are — calmly move your kid to a secluded spot-no toys, TV or other kids-so he learns to doesn’t deserve to play or receive attention from anyone when he uses inappropriate behavior. Time starts the minute he is CALM — not before. The rule is usually one minute per year of age. Teach your child how to express strong feelings using words instead of tantrums. Encourage him to tell how he feels: “I’m mad” or “I feel cranky.” Do praise him when he tells you his frustrations: “You asked for help when you were upset. Good for you!” Tantrums are never pleasant, but you can use them to teach your child important lessons on communicating needs and handling frustrations appropriately. Remember: behavior is learned. Make sure you’re teaching your children the right way to behave, then don’t stop until they do. Your boss has invited you and your family out for dinner, but you decline for fear that your child will have one of his outbursts in public. Stop limiting your social life because of your child’s behavior and learn how to stop their temper tantrum before it starts.